WHATEVER HAPPENED TO PHYLLIS MANDELBAUM? She was 22 years old. 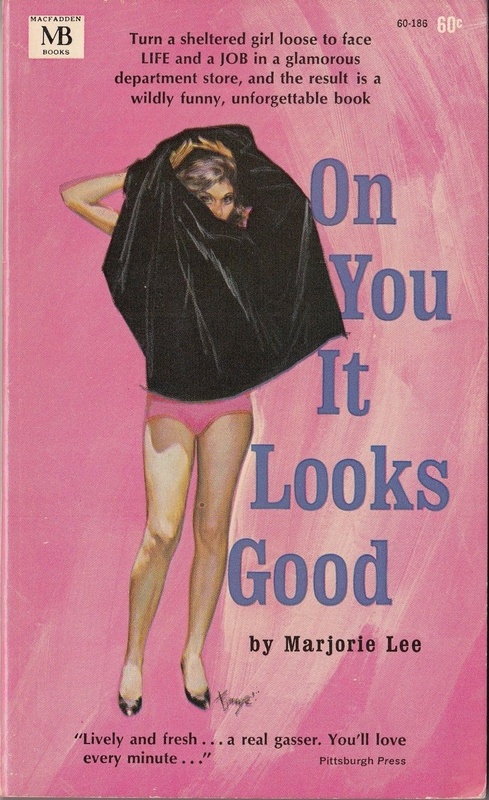 She was 5’6″ and weighed 124—when she took off her charm bracelet. And she looked like Ava Gardner. She had everything going for her. Tall men, short men, fat men, thin men…. But she wasn’t married. And her grandmother, who was the nervous type, had been at her life’s work—Finding a Husband for Phyllis—since Phyllis was 8. At 22, Phyllis had one goal; a career—far away from Grandmother. 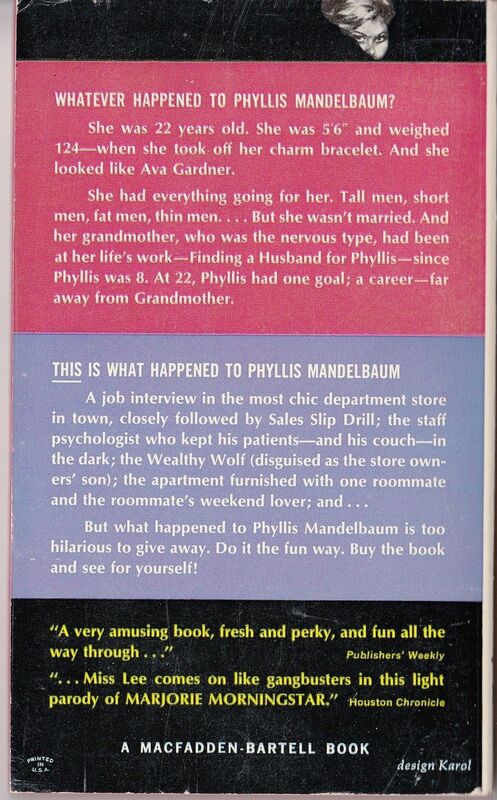 But what happened to Phyllis Mandelbaum is too hilarious to give away. Do it the fun way. Buy the book and see for yourself! The cover-art signature appears to be that of Barye Phillips.